If you are a game freak looking out for action games you will have to wait for just another year. 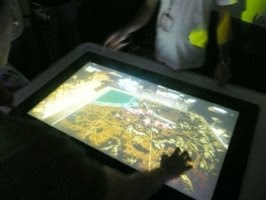 And you will also need a touch table by IntuiLab called the IntuiFace table which costs $20,000. And the game costs $50. Wats so special about this game was the question that came to my mind once i read the headline. And the explanation was convincing. This fast paced game takes you through World WarII. It makes you feel like you are responsible for the success or failure of the battle. Action games always have gained popularity among the gamers and to top it of all this game in partticular gives them a real time effect. 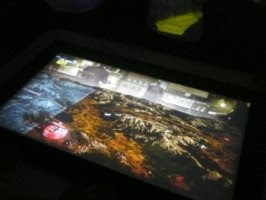 This video game has many features like you can zoom in or zoom out any area in the battlefield and can also change the camera view to your convenience. What was even more fascinating is that the game didnt slow down even more a moment which i think is a major criteria in keeping up the thrill and fun of the gamers. And the developers say that this technology has the ability to scale so that it would work well on tablet PC's too.